The X’Plor MSO is an adventure tire MSO_40_1designed for mixed conditions. 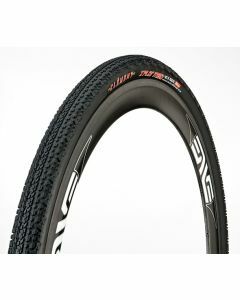 The combination of smooth-rolling center knobs and aggressive shoulder lugs provide great traction and durability for gravel roads, trails, cyclocross, urban assault and even pavement. The MSO will fit on your cyclocross or gravel bike, commuter, and touring rig. It comes in three sizes: 700 x 32mm, 700 x 36 mm and 700 x 40mm.